Made from durable ceramic, the copper finish on the Wendi table lamp's base gives it a warm look. Wendy Copper Ceramic Table Lamp. Depth : 23 cm. Width : 23 cm. The design mixes form with function and is a perfect blend of necessity and indulgence. Sporting a GU10 lamp holder this fitting can easily be upgraded to LED bulbs if power consumption is a concern. Touch sensor switch. No wiring required. Bellis chrome finish floor standard complete with delicate clear crystal glass and halogen lamp. Specifications: -Accommodates 1 x 40W E14 glass or reflector bulb (not included). 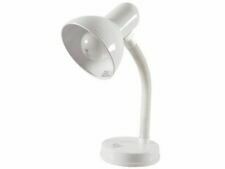 L958WH Features: -One light desk lamp.-Versatile flexible neck.-Integral on/off switch. Color/Finish: -White finish. 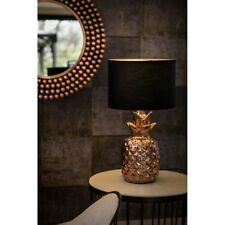 This striking table lamp would look amazing in your modern livingroom, don't you think?. Hidden in the curls are 4 powerful lights. Curls Lamp. Includes: 1x Curls Table Lamp. Condition: This table lamp is supplied ex display from our showroom, and as such may have the odd minor mark or blemish to the surface. To view the full range just type 'bellis' into the search box. Paper Lantern Shades. Bathroom Lighting. Ceiling Pendants. Modern Ceiling Lights. Fabric Shades. Tiffany Ceiling Fittings. Pendant Shades. 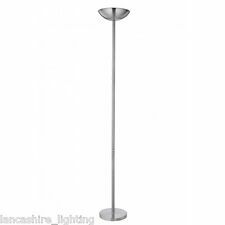 Bellis 162cm Floor Lamp. Overall 162cm H x 25cm W x 25cm D. Lamp bulb colour: Warm white. Shade Material: Glass. Shade Included. Shade 4.8cm H x 11.3cm W x 11.3cm D. Shade Colour Clear. Plug Included Yes. Mother & Child halogen floor lamp. Chrome finish with metal and glass diffuser and double dimmer. BELLIS 3-LIGHT FLOOR STANDARD LAMP. HALOGEN FLOOR LAMP. COMPLETE WITH DELICATE CLEAR FLOWER GLASS. The Searchlight Cosmic decorative floor standing lamp features 6 lights on a metal stand and has a polished chrome finish. The Cosmic has a maximum height of 171cm and takes 6 G4 bulbs. This inventive fitting is finished in chrome and would add a futuristic twist to any room. Product dimensions: No product dimensions available. A sleek, adjustable table light with a unique arm that can be moved around with ease. Paper Lantern Shades. Ceiling Pendants. Bathroom Lighting. Modern Ceiling Lights. Tiffany Ceiling Fittings. Traditional Ceiling Lights. Kid's Lighting. Socket/Bulb (Mother): R7S. Bathroom Lighting. Kid's Lighting. LED Lighting. Outdoor Lighting. Light Bulbs. Location of Switch: Cable. Product Weight: 4.95kg. Wall Lights. Endon Lighting 91183 Sonata 3 Light Flush Fitting Clear/Frosted Crystal Glass. Matching wall light available. 2 YR Warranty. Constructed from stainless steel & glass. Fast Dispatch. Proj: 135mm Dia: 370mm. Box has been opened however has never been used. Light bulb not included. Two Isfall(?). New but no screws. Hackney touch task floor 33w sw. Antique brass. H: 1120-1590mm W: 640mm D: 250mm. Floor lamp uplighter. OEM HALO6 UK. Blue Angel (Y/N) No. Colour: Black. Green Product No. Colour Black. Lamp Life 2000. PEFC (Y/N) No. We are LANCASHIRE LIGHTING: We're one of the best known and well respected lighting wholesalers in the UK. The small print. Now that's helpful ! (UK MAINLAND ONLY). Finish: Antique Brass. Shade: Glass. Lamp Included : No. Does not apply to all products. We will advise you once the order is placed. Product Info: A tall 2 light mother and child floor lamp with a double stand supporting an uplighter as well as an adjustable branch holding a reading lamp. Other colour options available. BATHROOM LIGHTING. Long spirals lead up to elegantique purple flowers and crystal clusters all placed in a black aluminium vase shape base. these products are just as beautiful with the lights on or off. however, with the lights switched on there is an extra special sparkle from the aluminium detail and high quality crystal. Bulb max 40w SES/E14 incandescent or halogen, candle or golf ball - not included. Touch table lamp. Overall 58cm H. Type: Desk. Type Desk. This may not be suitable as a gift. Light Direction Down. Style Traditional. Adjustable Height Yes. Country of Manufacture China. Finish: Satin Silver. (UK MAINLAND ONLY). (UK MAINLAND ONLY). Length: 29CM. Height: 183CM. Shade: Glass. Unilux Joker LED 2.0 Green Long Reach Desk Lamp Office . Bulb Details: GU10. Finish: Satin Silver. (UK MAINLAND ONLY).